Founded in 2012 by Rico Andersen and Martin Hegelund, Ageras is an accounting matchmaker. Small business owners use the platform to search for qualified accountants and bookkeepers by receiving quotes and comparing them against one other. Qualified accountants and bookkeepers subscribe to the platform in order to get access to new customers. With matchmaking comes monitoring everything in between, to create a superior experience and strong matches, while being money-making. Because Ageras is a young company, the company culture has traits from its’ time as a startup - dynamic, agile, and fast-growing. Ageras strives to use their data as effectively as possible in order to keep track of small operational KPIs to big strategic goals. In practice, the company uses Klipfolio to display key figures all around the office, in order to monitor performance of different markets, keep track of clients to make sure they get the best possible user experience, and give employees an individual dashboard so they know where to deliver maximum value. 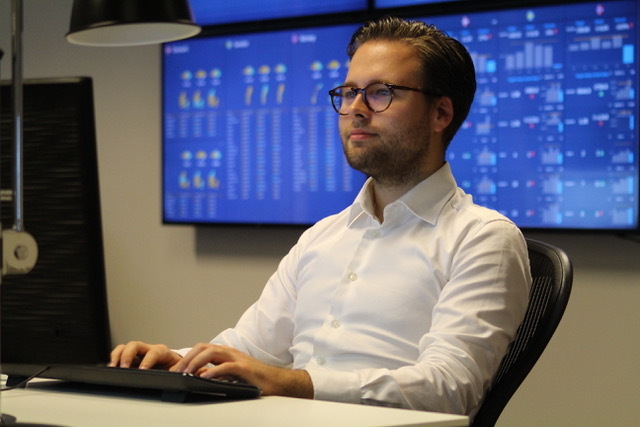 Their Klipfolio dashboards are displayed on multiple screens as the day-to-day way of keeping track of how Ageras is performing against the targets set for the company, for the teams and for the individual employees. 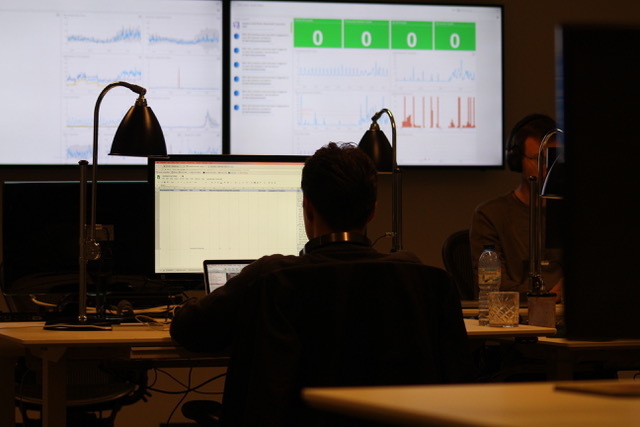 Since the company was established as a start-up in 2012, everything had to be built from scratch, even the dashboards. Without having an online service to run the dashboards, meter-long cables were drawn along the corners of the office to display the Excel sheets that were manually rescaled to remove borders and hide menus on various screens around the office. Maintaining the dashboards was an even more time-consuming task than the setup - the computer or Excel would freeze and the screens wouldn’t update. This meant that the computer running the dashboards had to be restarted every other day to cope with the memory usage. Yikes, right? Ageras tracks various key metrics and has high requirements for the individual ways they are calculated and displayed. This, in turn, means that the demand for customization is a huge deal and usually exceeds the possibilities that different tools provide. Using Klipfolio has kept customization on the forefront, through the powerful input field and built-in functions. Having more time to focus on tasks where the CMO or data analyst’s skills play a vital role rather than having to look for specific functionalities or settling for the second best option when visualizing, is a major reason behind the adoption of Klipfolio at Ageras. As a fast growing company, Ageras expands to new geographical markets quickly (such as the UK in 2018). In the beginning, each new expansion required a new dashboard to be created. With Klipfolio, the drop-down filter has made this manual task obsolete. As the company grows, Klipfolio helps to push the importance and value of focusing on actionable information in the form of day-on-day data or week-on-week data.